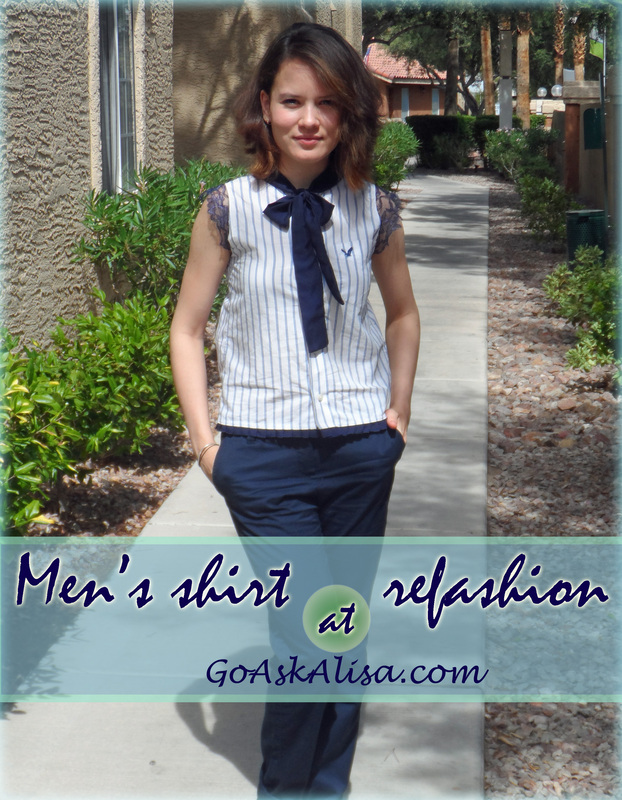 10 ways of men’s shirt refashion: tips and useful articles – Go ask Alisa – DIY capsule wardrobe one stitch at a time! Let me tell you this – I am not big on refashioning or upcycling, not at all. In fact I believe that repurposing or redoing existing piece might take a lot more energy and time than making a new one. Although, there is one thing I am not going to argue – it is indeed a very creative process. Your mind gets twisted in all sorts of ways in order to come up with a solution on: “How can I RE-use this?”. A day ago or so, my husband realized that his favorite American Eagle dress shirt was slightly torn and that there was no way of fixing it after which I got an intriguing offer: “Would you like to use it for anything?”. “Sure, just put it aside…” – if to be honest I said it just because I was in a rush and did not put too much of thought in that. It took me a day or so to decide if I want to do it or not an since it is quite a trend of right now, to refashion men’s dress shirts, I decided to give it a try! Originally I was inspired by this cute female top that I saw in Burda Style newest issue. Pattern shows darts- do not worry, you can use them or chose to omit. It all depends on where the chest pocket sits. Mine was right on the chest so there was no way that I could insert the darts. From a male dress shirt into a cute shift dress from Diaryofamadmama. It definitely is a very good refashion post, I might have chosen different fabric combination, but it is just a matter of taste. Love the outcome! Wow! Great job! 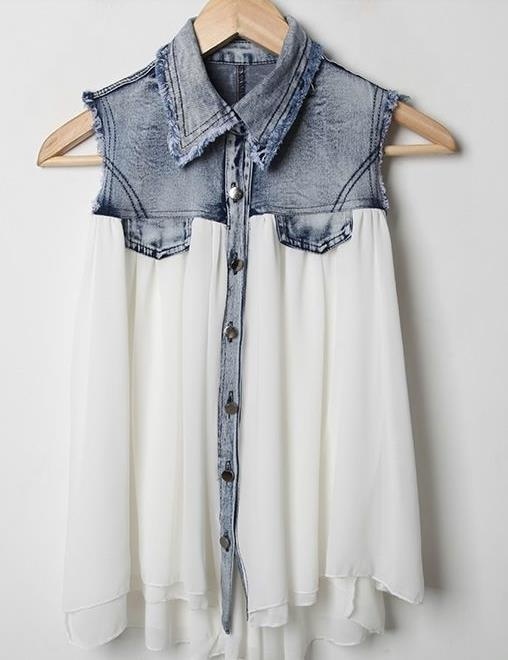 I’m coveting your new top. I like it much better than the Burdastyle version. Thanks for linking up my dress refashion!